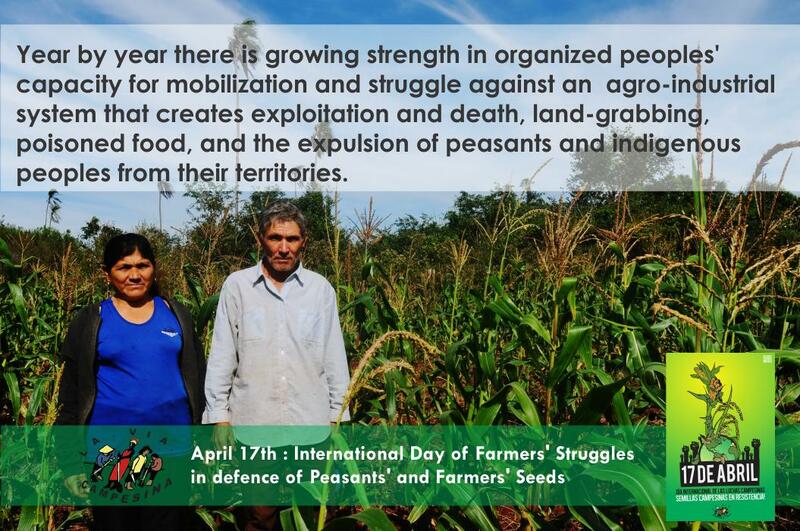 This year the 17th of April, international day of peasant struggles, is dedicated to the defense of seeds. Here are some post cards that you can use to spread the word on that day! 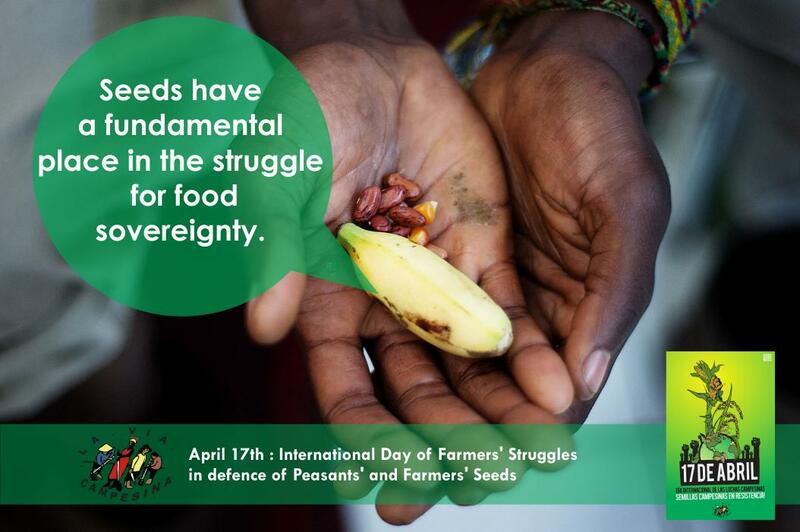 Seeds have a fundamental place in the struggle for food sovereignty. With every growing cycle, the crops that feed the world’s peoples - how they are grown and by whom they are grown - depend on seeds. 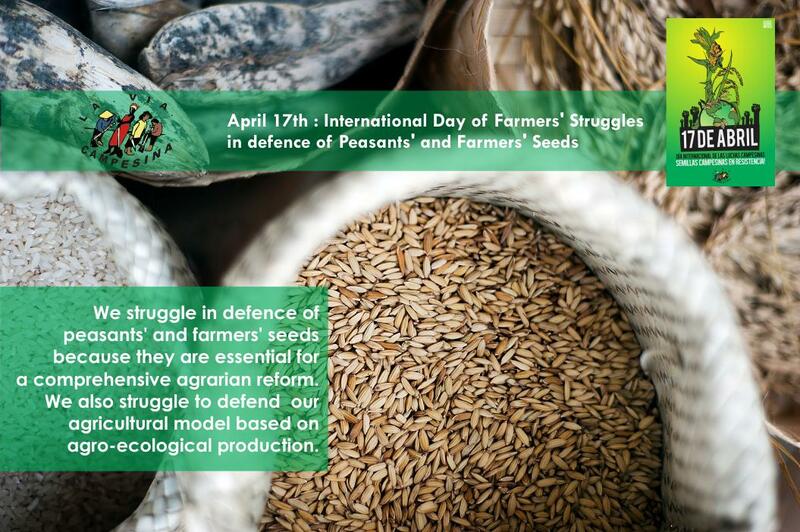 Seeds also transmit the vision, the knowledge, the practices and the culture of farming and peasant communities. 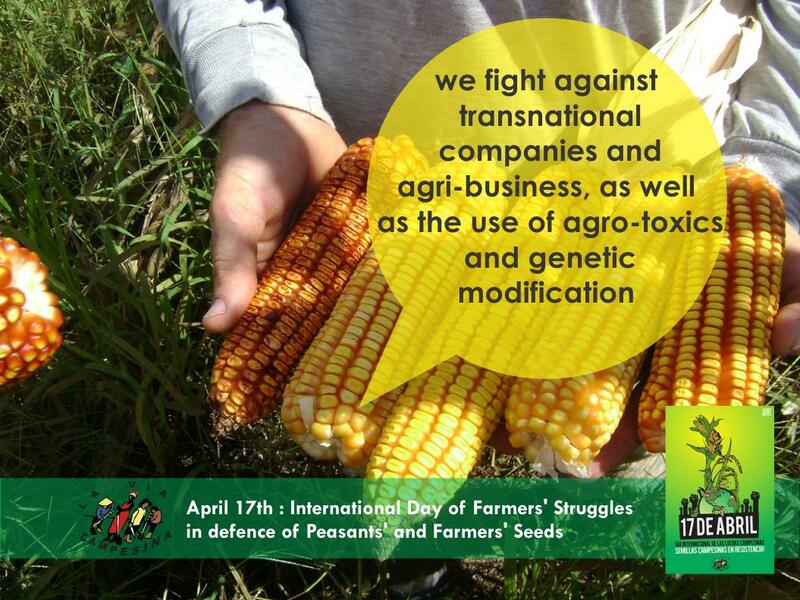 For a hundred years, our seeds have been attacked by capitalist interests that have sought to privatize and standardize them to the benefit of industrial agriculture. 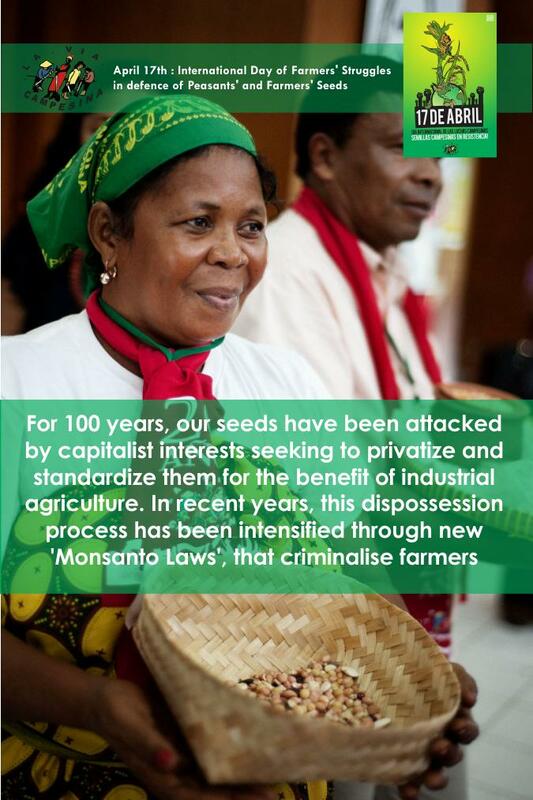 In recent years, this dispossession process has been intensified, both through the new "Monsanto Laws", which, by criminalising farmers for using their own farm-produced seeds, work to the benefit of industrially-produced registered or patented seeds, and through the genetic modification of seeds. 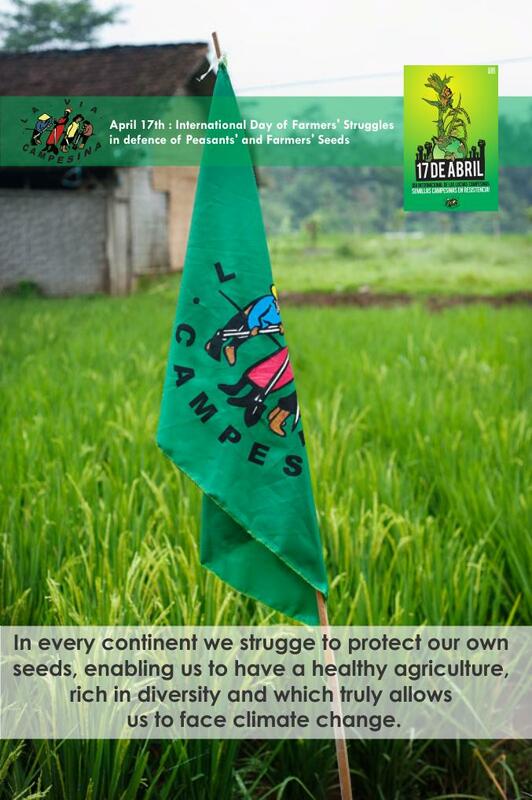 However, in Africa, Asia, Europe, and the Americas, year by year there is growing strength in the organized peoples’ capacity for mobilisation and struggle against an agro-industrial system that gives rise to exploitation and death, grabbing land, poisoning food, and expelling peasants and indigenous peoples from their territories.